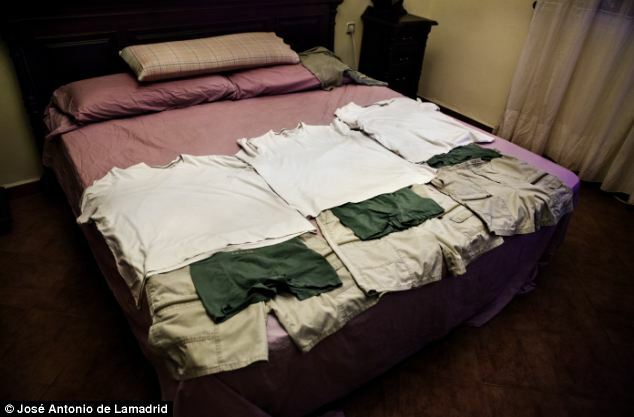 Life as an autistic triplet: The startlingly intimate images that reveal the daily routine of 18-year-old brothers who ALL suffer from the same condition — SPORK! 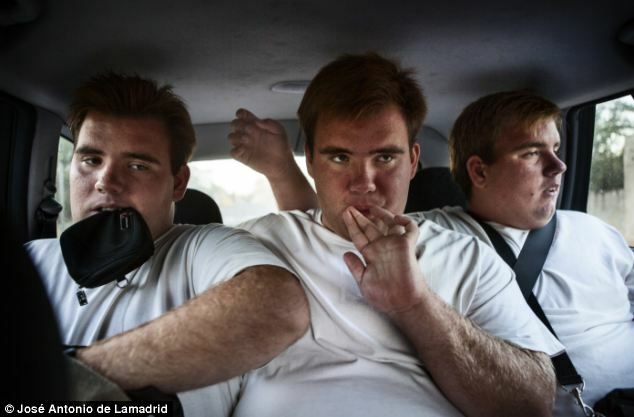 A photographer has captured candid and incredibly moving photographs of teenage triplets, all of whom suffer from autism. 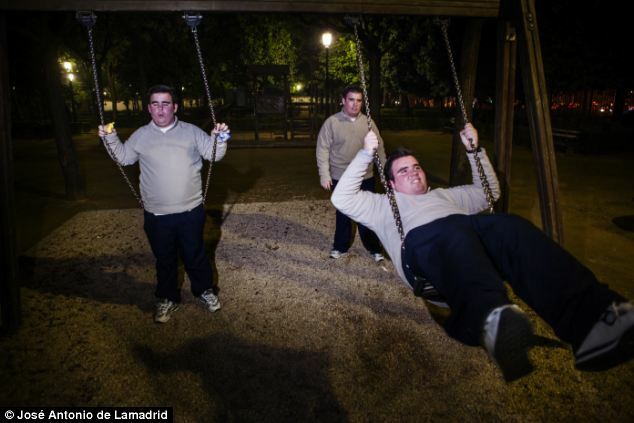 Over the course of two years, José Antonio de Lamadrid, 50, from Seville, has followed three 18-year-old brothers who were all born with the same complex neurological disorder. Mr Lamadrid wanted to follow Alejandro, Álvaro and Jaime Morillo Aguilar because he was fascinated and touched by their interaction. 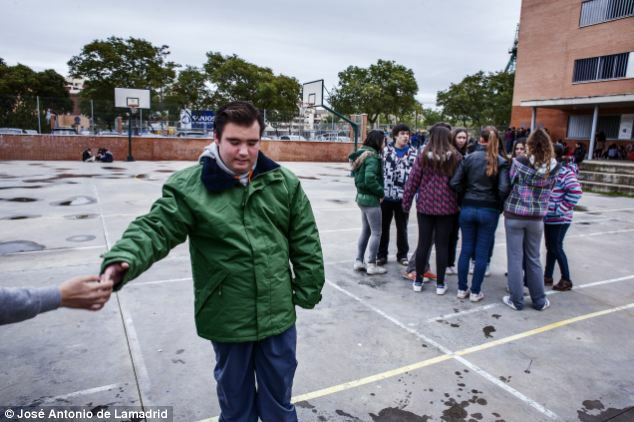 Mr Lamadrid also has personal experience of the condition as his nephew is autistic. The condition is characterised by a difficulty to communicate and socialise yet the three men have a visibly strong brotherly bond. 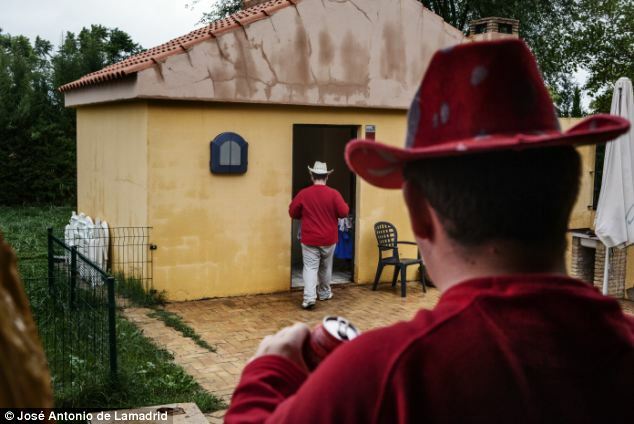 The men's parents, Noelia and Jaime, said that it was shortly after their sons turned one that they started to notice differences between them and children of the same age. They said that the boys did not respond to their calls and seemed disinterested by things that should have fascinated the them - planes in the sky, barking dogs and offerings of sweets all went unnoticed. It took three years and a raft of tests for them to be diagnosed. They were not deaf, there were not obvious genetic ot neurological problems. 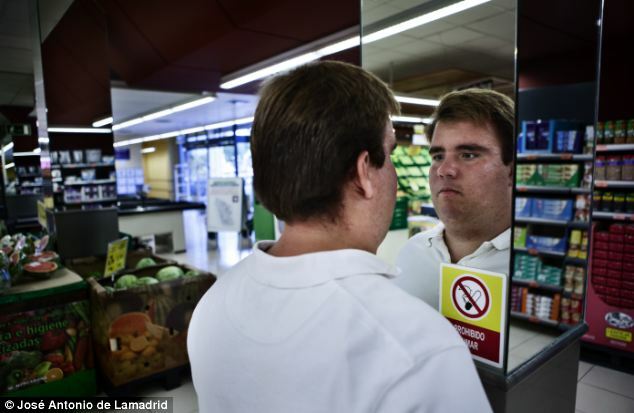 'When you do not have any of these symptoms, you have autism,' Noelia said. 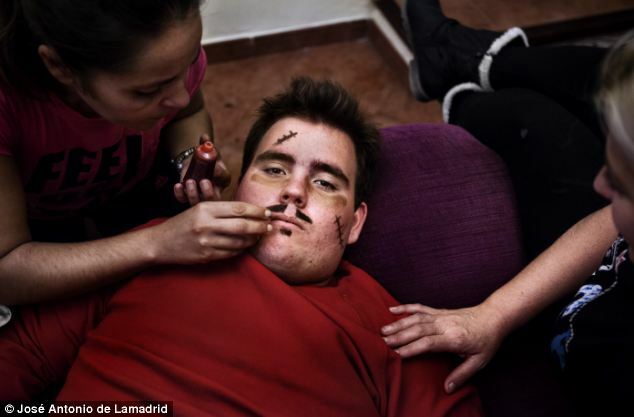 Álvaro suffers with the most severe learning difficulties out of the three because he suffered a brain injury in childhood. As a result he attends a specialised autism centre. His brothers Alejandro and Jaime however attend the local high school that offers special classes to help them integrate with those unaffected by the condition. As with many people suffering autism, the men are very keen to stick to a routine. 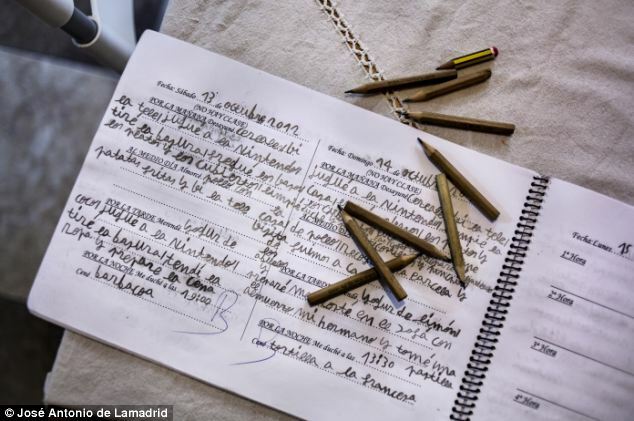 They tirelessly document their days - even recording the minutiae of atching TV, washing the dishes and, as one diary entry says, 'eating a coconut yoghurt and playing Nintendo'. Every Friday the men go to the town library to rent out movies. They also visit their local leisure centre to socialise with other children who have autism. Alejandro is an accomplished artist and enjoys playing puzzles. Since the age of six he has been able to complete 1000-piece jigsaws in a matter of hours. Álvaro, always carries what he refers to as 'inventions'. Objects include clay figures and everyday household objects such as combs, pegs, scissors and pencils. Jaime has a incredible memory - for example, if he is given a date he is able to tell you what day of the week it was, even if it was many years ago.